Vinyl flooring (also known as lino) is one of the most popular flooring options around. With a huge variety of different colours and styles available, vinyl works well in every type of room. This fuss-free flooring is especially popular in commercial residences, standing up well to the heavy foot traffic of office life. Vinyl is the perfect choice if you’re looking for affordable style. Easy to clean and impressively durable, it’s ideal for busy households, offices and commercial properties. It’s also stain and water resistant, making it great for moisture-heavy rooms like bathrooms and kitchens. 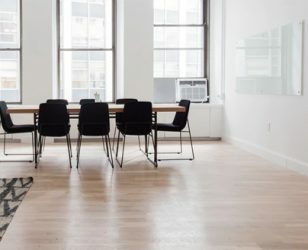 One of the reasons that vinyl flooring remains a firm favourite with business owners is that it’s one of the cheapest flooring options available. 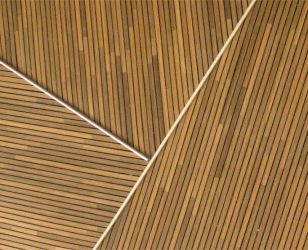 It also comes in a much wider selection of styles and colours than any other flooring type, with choices ranging from wood and tile effect to intricate mosaic and stone designs. There are two types of vinyl available: sheet flooring and vinyl tiles. While sheet flooring is the cheapest option and easier to install, many people opt for vinyl tiling. Replicating the look of ceramic tiles or wood panelling, vinyl tiles give a flawless finish to any room. If you’re looking to recreate premium flooring without the premium price tag, luxury vinyl tiles (LVT) are your best option. Whether you’re looking to install vinyl flooring or you’re still weighing up the options, you can get in touch with our Style HQ experts here. We offer a beautiful selection of bespoke vinyl flooring, ideal for offices, shops and households.